Arnold Magnetic Technologies’ industry leading RECOMA Samarium Cobalt (SmCo) magnet materials break the performance barriers of other magnetic components. Offering several operational advantages, our top-of-the-line RECOMA 35E is currently the most power dense samarium cobalt magnet on the market, and is specifically created for the most demanding environments, including high speed (100,000 RPM+), high temperature (above 150°C) and highly corrosive environments, such as aerospace, motorsports, and automotive industries. As the market leader in high performance SmCo, Arnold Magnetic Technologies continues to push the boundaries of magnetic performance, while maintaining an integrated and sophisticated supply chain. RECOMA grades 33E & 35E provide record-breaking performance under extreme conditions — from motorsports to aerospace. 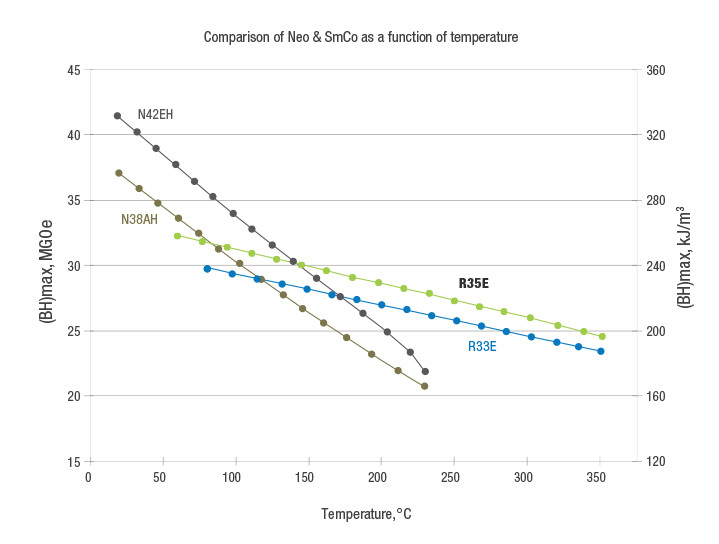 Performance at temperature extremes – RECOMA samarium cobalt magnetic materials offer the world’s highest stability and magnetic output at elevated temperatures. Broad-based source of supply – Unlike neodymium (Nd) magnets, which need high levels of rare dysprosium (Dy) to function at moderate temperatures, SmCo magnets use materials that are more widely available and are inherently stable at temperatures well above the Curie point of NdFeB. This makes SmCo pricing more stable and less prone to market changes. Breadth of applications – Use Arnold’s RECOMA 35E to achieve higher performance and efficiency in your automotive, motorsports, aerospace, defense, or industrial application. Custom properties – Since we are an integrated supplier, we can adjust the composition of your material for performance at extreme temperatures up to 550°C, or for much lower temperature coefficients for sensitive applications. 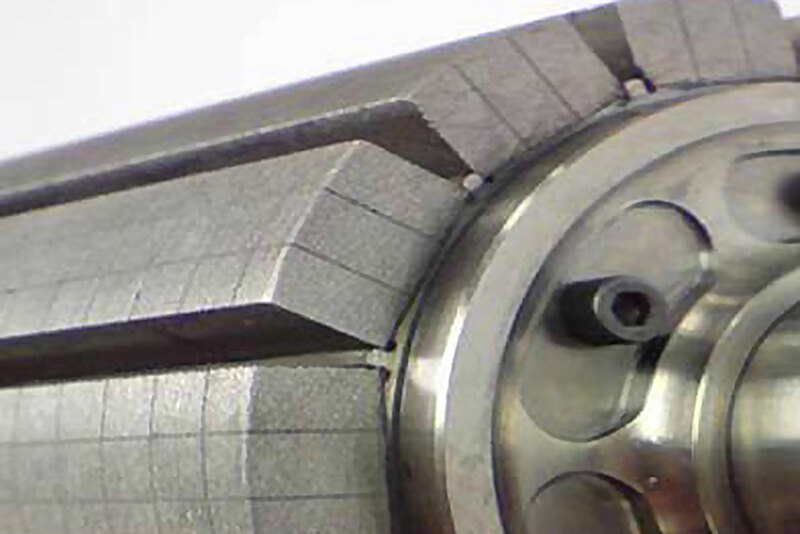 Arnold’s custom SmCo magnets are made to your specification and project requirements. All locations in our RECOMA product’s supply chain are registered with ITAR and can adhere to DFAR clauses. Available in standard grades 18-35E, custom grades for high temperature and low reversible temperature coefficient, and in any shape needed for your application. To learn more about our Samarium Cobalt high temperature magnets, and whether SmCo is the right material for your custom assembly, contact a specialist today.